Deep-dive analytics tools have completely transformed the way many organizations do business—helping remove the guesswork from major areas of operations, and provide everybody with the clear, actionable answers they need to make informed business decisions. The benefits of sophisticated analytics are being reaped across the business. 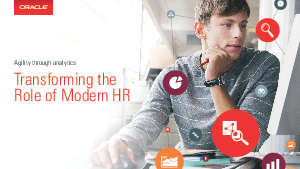 But according to Deloitte, HR is lagging behind— with only 14 percent of companies using analytics in HR, compared to 77 percent using these tools in Operations1.